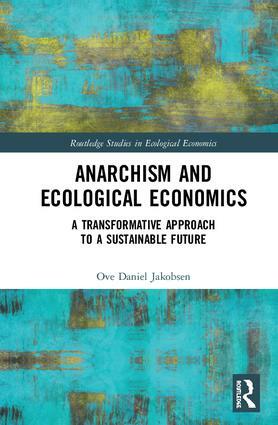 Anarchism and Ecological Economics: A Transformative Approach to a Sustainable Future explores the idea that anarchism – aimed at creating a society where there is as much freedom in solidarity as possible – may provide an ideal political basis for the goals of ecological economics. It seems clear that it is going to be impossible to solve the problems connected to environmental degradation, climate change, economic crashes and increasing inequality, within the existing paradigm. The anarchist aims of reducing the disparities of rank and income in society and obtaining a high standard of living within environmentally sound ecosystems chime well with the ecological economists’ goal of living within our environmental limits for the betterment of the planet and society. The book refers to the UN’s sustainability development goals, and the goals expressed in the Earth Charter, viewing them through an anarchist’s lens. It argues that in order to establish ecological economics as a radical new economy right for the 21st century, neoliberal economics needs to be replaced. By connecting ecological economics to a solid philosophical tradition such as anarchism, it will be easier for ecological economics to become a far more potent alternative to “green” economic thinking, which is based on, and supports, the dominant political regime. Innovative and challenging, this book will appeal to students and scholars interested in economics and the politics surrounding it. Ove Daniel Jakobsen is a professor of Ecological Economics in the Business School at Nord University, Norway. He has more than 30 years of experience in transdisciplinary work: including philosophy, economics, business administration and systems theory.